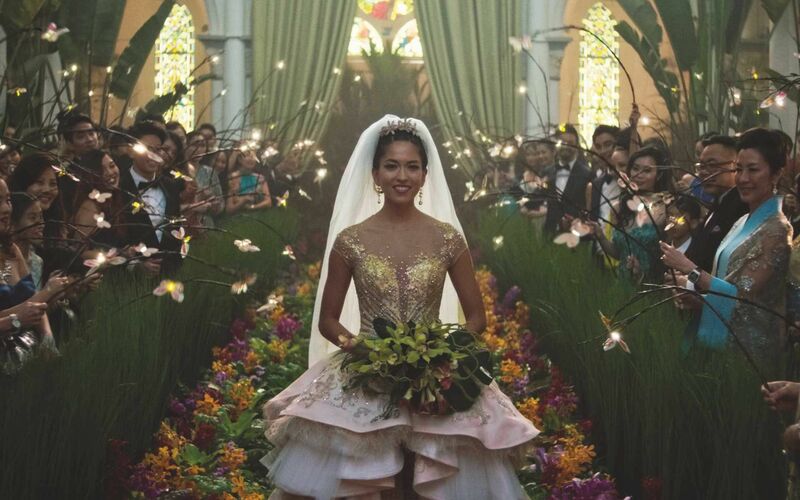 While watching Crazy Rich Asians last week, the scenes that stood out to me were the larger-than-life parties, from an elaborate soiree to celebrate the blooming of tan hua flowers to the extravagant wedding in Singapore central to the movie's plotline. These parties were portrayed so lavishly (a rare Cambodian gong to kick off a party, anyone? ), they looked like they were lifted out of the pages of Asia ‘Tattle’, oops, I mean Tatler. While we never party-and-tell, but I can say for sure that the Tatler team have attended a few out-of-this-world celebrations. I myself have attended a wedding where the bridegroom commissioned a suit based on Prince Charming from Disney's classic Cinderella. There was also once when I left a society couple's anniversary dinner celebrations with Tiffany & Co china cups, embossed with my name, as a doorgift. While I did not attend, I heard about a birthday party where the birthday girl organised for her guests to receive complimentary Botox and filler injections as a surprise. I can't prove or disprove this rumour, but still, there’s no smoke without fire, right? In spirit of Crazy Rich Asians making it big on Hollywood, our Asia Tatler insiders tell all when it comes to the most memorable parties they have attended, hosted by Asia's elite. "Fabulous and extravagant parties don't seem to happen so much nowadays. The two that come to mind are special in their own ways. The first is the opening of a real estate development in Hua Hin built around a country club and crystal lagoon lake. The highlight was a concert by Ronan Keating, flown in especially for the event. Also, any event on the Eastern & Oriental Express tends to be quite spectacular because of the setting. Once, prior to guests boarding the train for a party, there was a spectacular fashion show while the train ride featured lots of Instagram-worthy moments at the cabins which had been turned into specialised rooms such as a cigar bar and a music room."